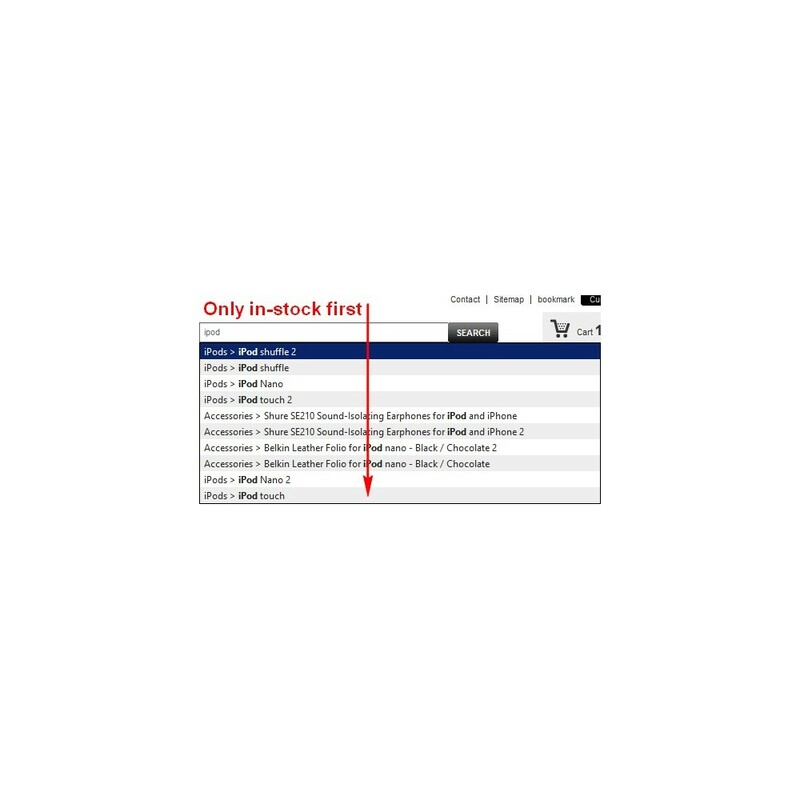 Moves out-of-stock products to the end of product lists regardless of sorting: product pages and blocks. No need to disable product until it is not available, and then to enable when the product's remains will be appear. 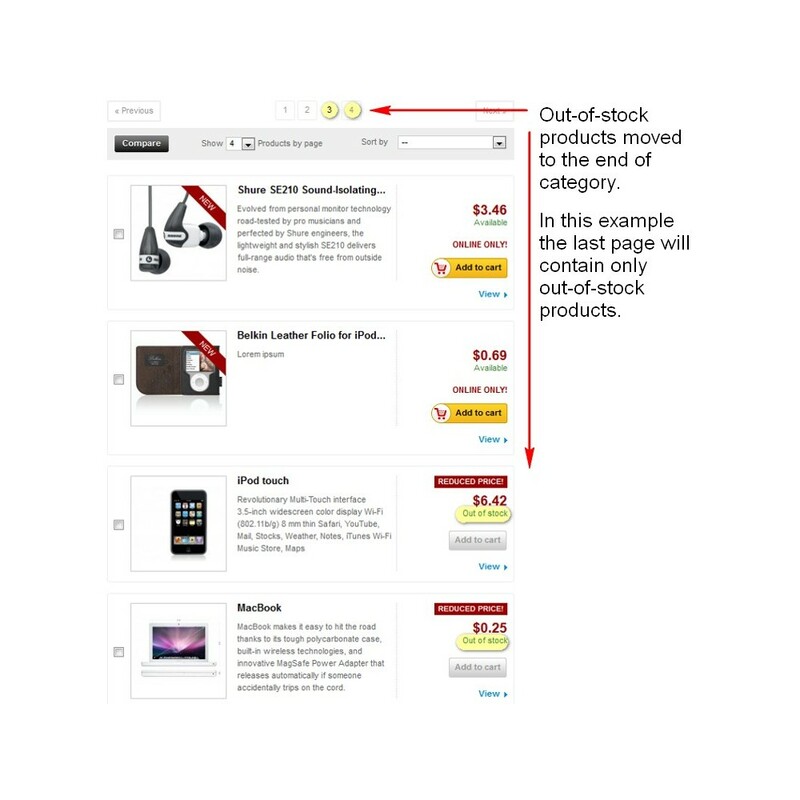 It will allow you not to disable products while they are out-o-stock. This is a good practice, since product pages stay available in a search index of search engines and therefore saves free user traffic from the search. In addition, you could get potential user activity, for example, commenting on products by users on your site or on another site, which may attract new potential customers. The main feature is moving out-of-stock products to the end of product lists regardless of sorting: product pages and blocks. For example, in pages: category, manufacturers, suppliers, new products, bestsellers and other pages. It also works on blocks, for example: search result block, block of best sellers and other blocks. 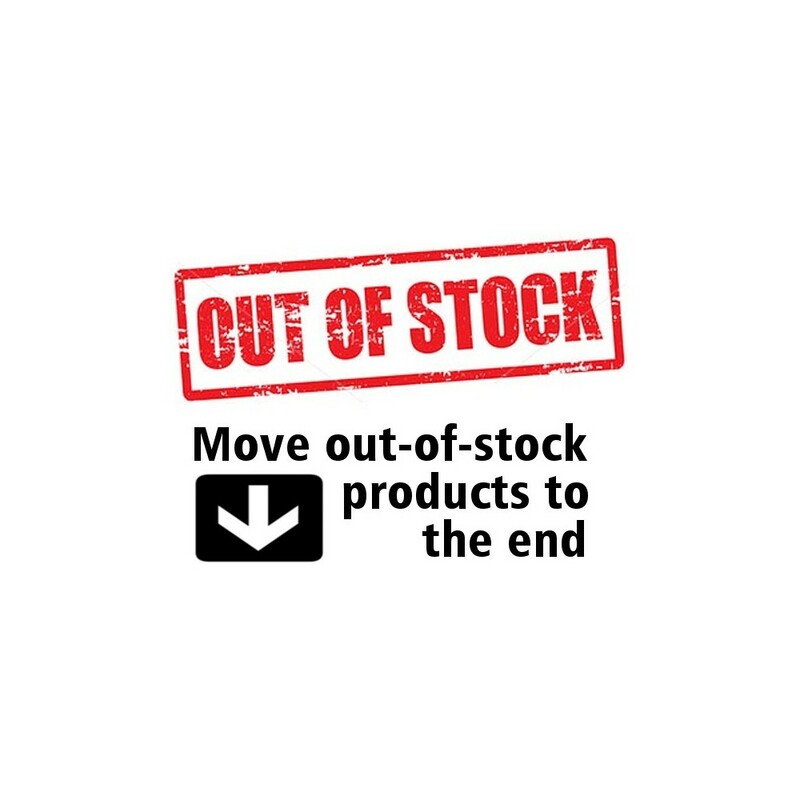 With any sorting option, a customer will always see products available for sale, and at the very end of the list, a customer will see products which are out-of-stock. The additional feature is to sort products with combinations properly when a base price of a product is zero. You can check your PrestaShop and you will see this problem. This module can be configured to work with other modules that display product lists. This requires to change a code of a third-party module. This integration is not included to the price of the module, but there is the instruction that should help to do the integration with third-party module. How to check the module on the demo web-shop? A customer sees always available products for sale in the first place and thereby save his time and nerves to find needed product. 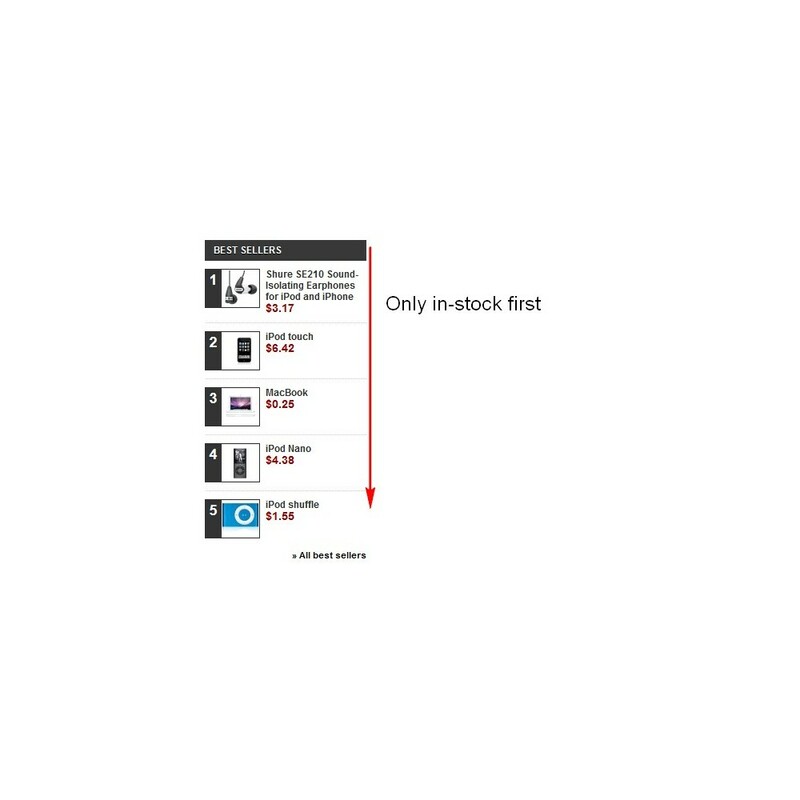 The module is especially useful when a store has much products, many of which are often out-of-stock. Thus, the module helps build customer loyalty. The module has a normal installation, but uses PrestaShop class override system to override default behavior. Be sure that the option "Disable all overrides" is switched to NO (Advanced Parameters / Performance). It is the required option for this module. An integration is required to work with modules for product filtering like:Layered navigation block, Advanced Search 4 and may be other complex modules. This integration is not included to the price of the module, but there is the instruction that should help to do the integration with third-party module.